Ukrainian epic, or dumy, were first recorded from blind mendicant minstrels in the nineteenth century. Yet they reflect events dating back to as early as the 1300s. Ukrainian Epic and Historical Song provides new translations in contemporary English. It also explains the historical events celebrated in epic and other historical songs: fierce battles, rebellion against tyranny, the struggles of captivity, the joys of escape from slavery. Natalie Kononenko’s expert translation and analysis of Ukrainian epics provides a sweeping social history of folklore that is vital to Ukrainian identity. A translation of at least one variant of every known epic is included. Whereas earlier trends in folklore scholarship emphasized genre purity and compartmentalization, Kononenko critically examines the events about which songs were sung. Her emphasis on the lives of ordinary people rather than on leaders reshapes our understanding of how epics were composed and performed. Kononenko’s ground-breaking analysis also illuminates Ukrainian self-understanding and explains how songs preserve and perpetuate historical memory. 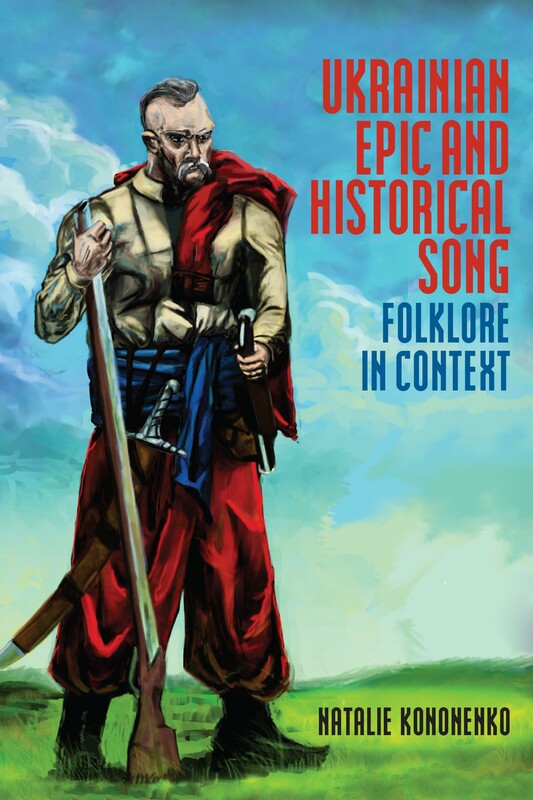 Scholars interested in epic song, history, and general folklore will benefit from this work. Members of the Ukrainian diaspora will find new appreciation of Ukrainian folklore.